Adult stem cells are our body’s natural renewal system. They are the essential components for repairing and renewing our bodies. They are new cell factories that work every day to produce cells that can change into all the different types of cells that make up each part of the body. They are essential for the day-to-day maintenance and repair of organs and tissues. The more adult stem cells we have in circulation, the healthier we will be. What makes us lose our health? Over a lifetime, factors such as daily exposure to environmental toxins, physical and mental stress, a poor diet, and the aging process reduce the number and effectiveness of our adult stem cells. As a result, it becomes more difficult to stay healthy. Can we increase the number and effectiveness of our adult stem cells to help make us healthier? Yes. We can increase the number of stem cells in our body when we support their release, circulation and migration. This allows our body’s regenerative processes to reach their full potential. What is the optimum way to increase the release of our body's stem cells? Independent research studies have proven that stem cell nutrition, utilizing natural botanical extracts, can support the natural repair role of stem cells in our body and significantly increase the release, circulation and migration of adult stem cells. When your body needs maintenance, repair or renewal, signals are sent by the tissues in need to release adult stem cells from your bone marrow into the bloodstream. Adult Stem Cells circulate in the bloodstream and flow to the tissues in need. When they arrive, the adult stem cells migrate into the tissues, reproduce and become new healthy cells of those tissues. 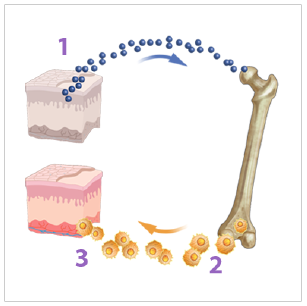 This process takes place every day, even without tissue damage, as part of the natural renewal system of the body. Stemtech’s products do not contain stem cells. They are composed of natural botanicals and other ingredients that have been clinically documented to support the performance of your own adult stem cells. A company can only be a pioneer and make a difference in the world, if it’s willing to take risks and do the right things that others are not willing to do in order to succeed. 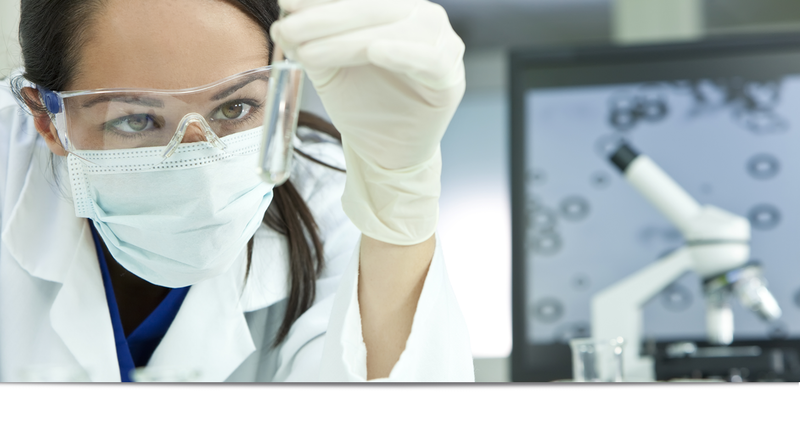 Scientific research is a cornerstone to the success of the Stemtech product line. Very few nutritional supplement companies invest the significant time and money it takes to prove the efficacy of their products. Some companies even try to point at our research and claim it as their own. Stemtech does research specifically on its own products and publishes the results of that research in leading scientific journals. We continue to lead our industry as experts in stem cell nutrition, by continually striving to improve our product offerings with advanced formulas, along with developing new life-changing products over time. You can be assured that when you take Stemtech products, you will experience the benefits we claim, because we’ve not only seen the results first hand with tens of thousands of happy customers, but we’ve proven them in the laboratory and clinical setting. Curcuminoid derivatives enhance telomerase activity in an in vitro TRAP assay. The two isomers of HDTIC compounds from Astragali Radix slow down telomere shortening rate via attenuating oxidative stress and increasing DNA repair ability in human fetal lung diploid fibroblast cells.